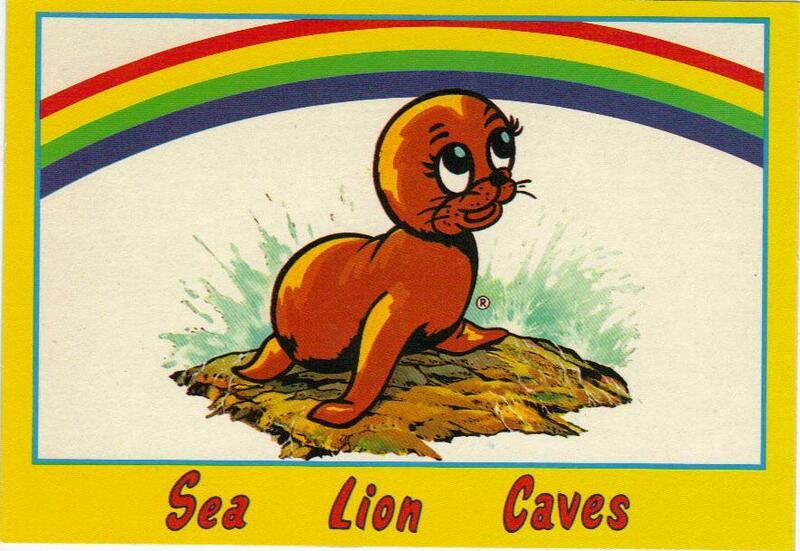 This postcard is very cute because it has a rainbow on it and a sea lion. It is very, very cute. SEA LION CAVES, on the Oregon Coast, the world's largest sea cave. 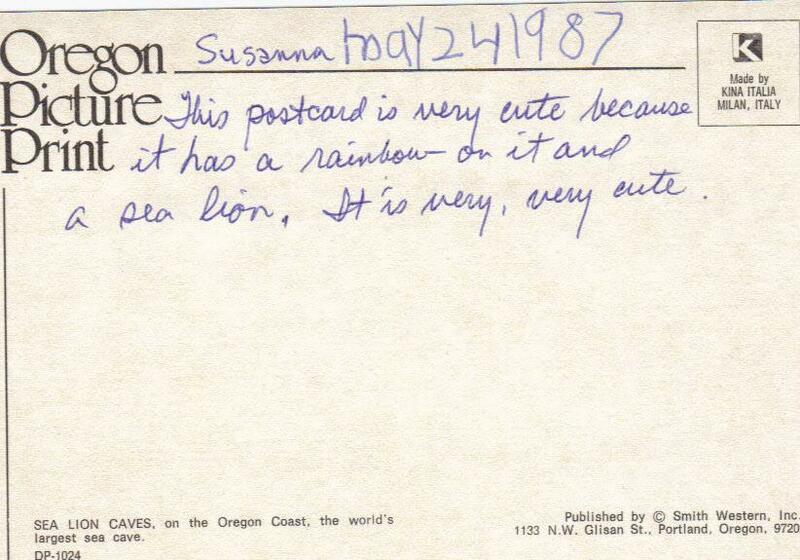 Susanna's series of cute postcard reviews was ahead of its time.